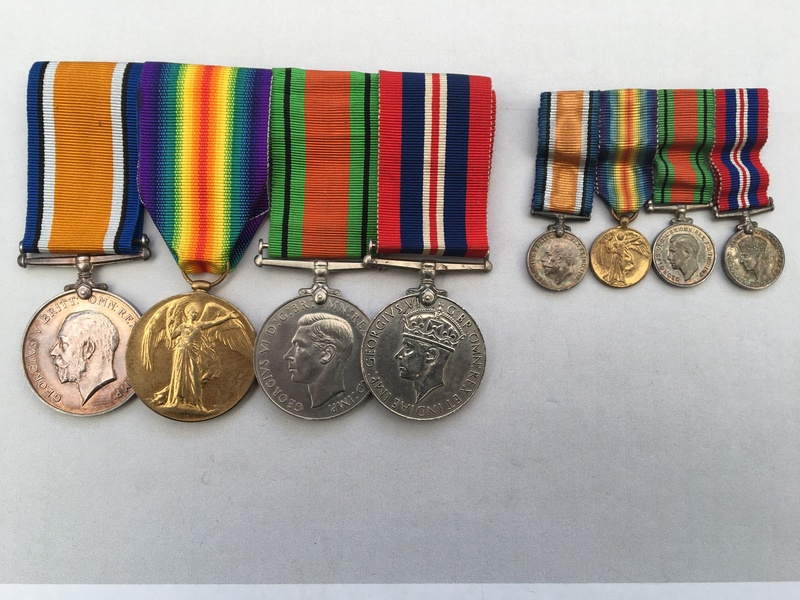 WW1 and WW2 medal group awarded to 317351 Albert J. Kill, Royal Garrison Artillery. British War Medal and Victory Medal named to 317351. GNR. A. J. KILL, R.A. 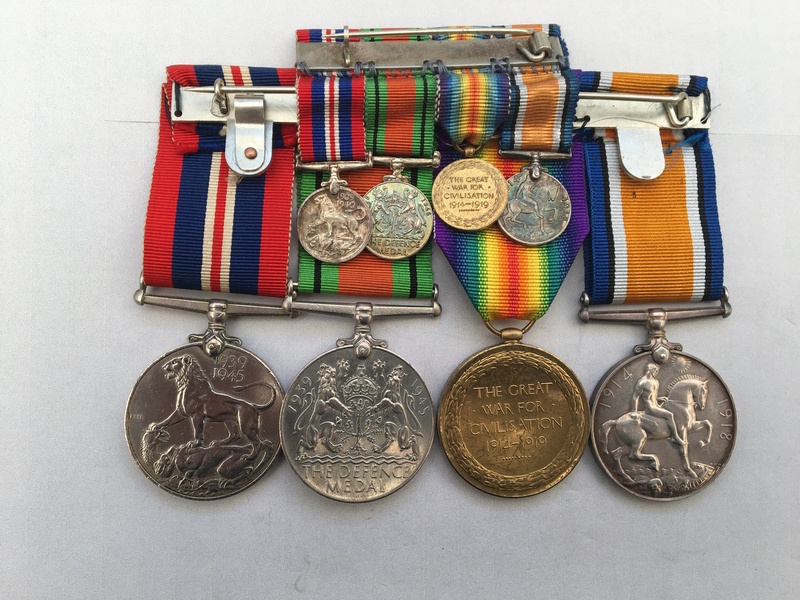 The medals are swing mounted and come with a matching set of contemporary miniature medals that are also swing mounted and mounted with their original ribbons along with a studio portrait of two RGA service personnel - it is not clear if one of these is Albert Kill. Also included with this listing, is a printed copy of his Medal Index Card which can also be viewed by clicking on here (if you have access to Ancestry). 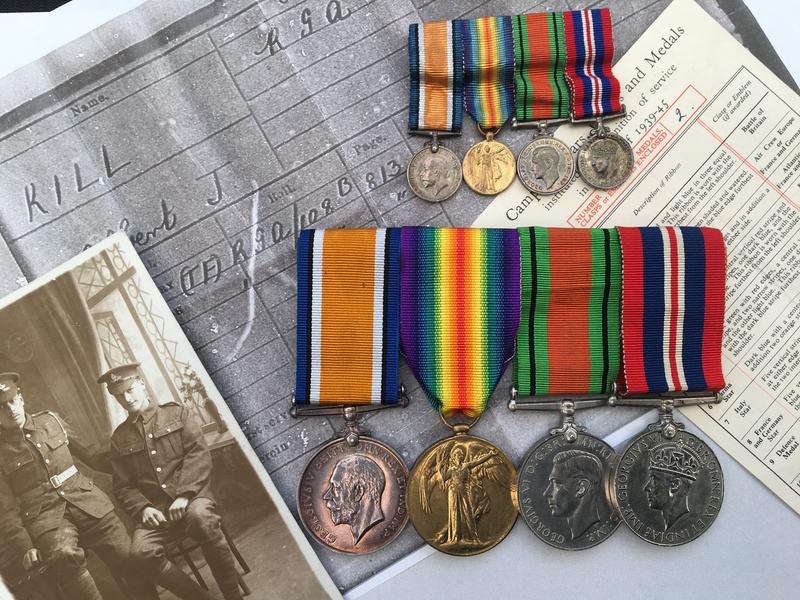 I have been unable to locate any service records to this man but based on the fact that it appears that he was issued with a WW2 British War Medal and Defence Medal (and Army Council award slip) it would seem that he undertook some form of home service during WW2. During WW1, Kill served with the 108th (Heavy) Battery Royal Garrison Artillery. This unit was based at Fareham (Fort Nelson) and was a part of the 1st Heavy Brigade, RGA. It left Southampton on the 17th August 1914, and arrived at Boulogne the following day and was assigned to supporting the 5th Infantry Division. On its arrival in France it was comprised of 4 x 60pdr gun batteries with a compliment of 190 men including 5 Officers, 8 Sergeants, 2 trumpeters. Activities and actions undertaken by the 5th Infantry Division can be viewed by clicking on here. In May 1915, it moved to support the 28th Infantry Division serving under various Heavy Artillery Brigades, a summary of which can be found by clicking on here. Activities and actions undertaken by the 28th Infantry Division can be viewed by clicking on here. Kill would have served with the unit whilst it was assigned to support the 28th Infantry Division. PRICE £150 - please read the terms and conditions below.